We are your Earwig Control Specialist, we have the Know How To Get Rid Of Earwigs. Our Earwig Exterminator will identify the source of your Earwig Infestation and create an Earwig Treatment plan to eliminate your Earwigs. Let us be the Pest Control Company that you can depend on, Give Us A Call Today 1-844-305-8999. 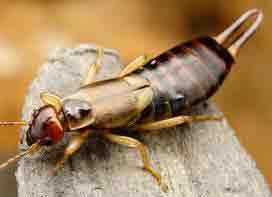 Earwigs are long, flat, narrow and dark brown, black, tan, reddish or yellow in color. They can measure anywhere from half an inch to three inches long. Like all insects, they have six legs and a pair of antennas. Some species also have wings and can fly. Earwigs’ bodies are divided into three sections. At the end of their body, on the abdomen, they have a set of forceps or cerci that look like pincers or tweezers that they use to catch prey and for defense. You’ll understand what we mean if you try to pick up an earwig. Ouch! 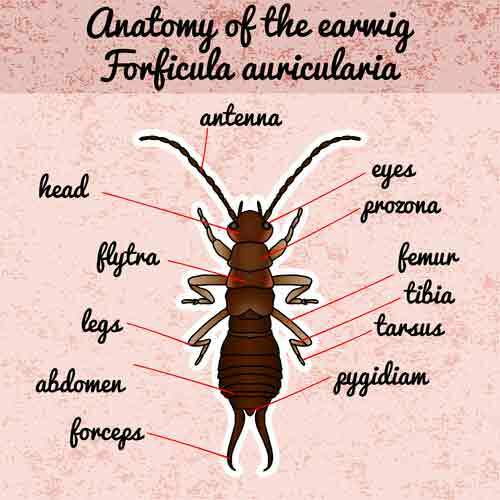 Male earwigs have curved forceps, while the forceps of female earwigs are straight. Another form of defense is the yellow-brown liquid that earwigs emit. Although this smells foul, it is harmless. Earwigs go through three stages of development or metamorphosis: egg, nymph, and adult. Nymph is the correct term for earwig larvae. An adult female earwig will generally produce two batches of round, creamy colored eggs every year. Each batch of earwig eggs consists of up to 80 eggs! One of the most fascinating earwig facts is that it takes anywhere from 20 to 70 days for an earwig to develop from an egg into an adult. The exact rate of development depends to a large extent on the temperature at the time. Of all earwig facts, the most endearing is that female earwigs show a maternal instinct, which is almost unheard of in the insect world. The mother earwig will stay with her eggs and nymphs for quite some time, fiercely protecting her offspring. Earwigs tend to live in dark, moist environments. They can frequently be found in large numbers under logs, leaves, compost, lawn clippings and bark. Earwigs tend to hibernate during the winter months. They can burrow six feet underground to escape the cold. However, one of the more disconcerting earwig facts is that they often prefer the sheltered conditions offered by people’s homes at this colder time of year. They enter houses by crawling through cracks in walls and tend to prefer rooms that are wet and damp, such as kitchens, bathrooms, garages and basements. You’re not the only one who wants to snuggle inside when it’s cold outside. Earwig Treatment requires the use of insecticides which is applied outside with applications around the building foundation, flower beds, mulch areas and turf within a couple of yards of the building, as well as in the crawl space areas of the home. Dependable Exterminating specializes in Earwig Treatment and Earwig Control. 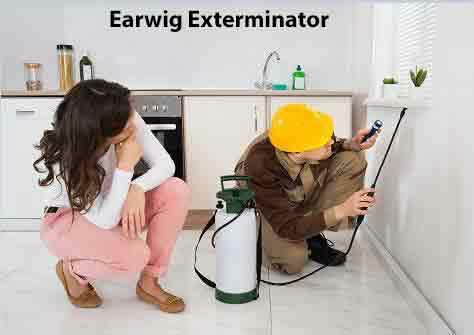 Our Trained Earwig Exterminator Technicians at Dependable Exterminating will solve your Earwig Infestation. 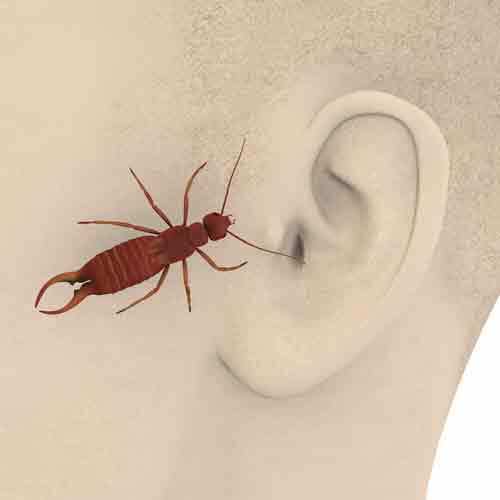 Earwigs frighten many people because of superstitions about how they crawl into the ears of people while they sleep. Fortunately, this is just a common misconception and it almost never happens. They also seem frightening because of the pincers on their abdomens, but they only use them for self-defense. This is also why they’re known as pincher bugs. There are 22 different types of earwigs in the United States and more than 1,000 species all over the world. Above is some basic information about earwig control and how the Earwig Treatment is applied. All applications are done by a NYS Certified Earwig Exterminator. Give Us A Call Today, we will eliminate your Earwig Infestation. 1-844-305-8999.